Going back to this because I like to break hearts. Dhani said one of the most difficult things shortly after his father died was looking in the mirror because he would just see George starting back. I can make the place happier if you like? Any video of George dancing is precious, the lad had 2-left feet but that didn't stop him!! Bloody hell, what is that pain? that PAIN?!?! The appendix isn't in your chest, is it?! I'll see you all again next month, I'm sure I'll have recovered by then. To brighten the mood of the thread, a song that some of you might have not heard before. One of my favourite Ringo songs and I haven't listened to it in agessssss. Just now it popped into my head and I'm so glad it did. A guest does the back-up vocals on it, can you identify them? AW I love that song! And that whole album. I've posted this song at least twice before but here we go again (seeing as this thread is on a Dhani-kick recently, which tbh we should always be on a Dhani-trend, he's great). The only song with Dhani (then 9 years old) and George that they actively recorded together. It was made for a children's cartoon called Bunbury Tales about an Indian rabbit that plays cricket. 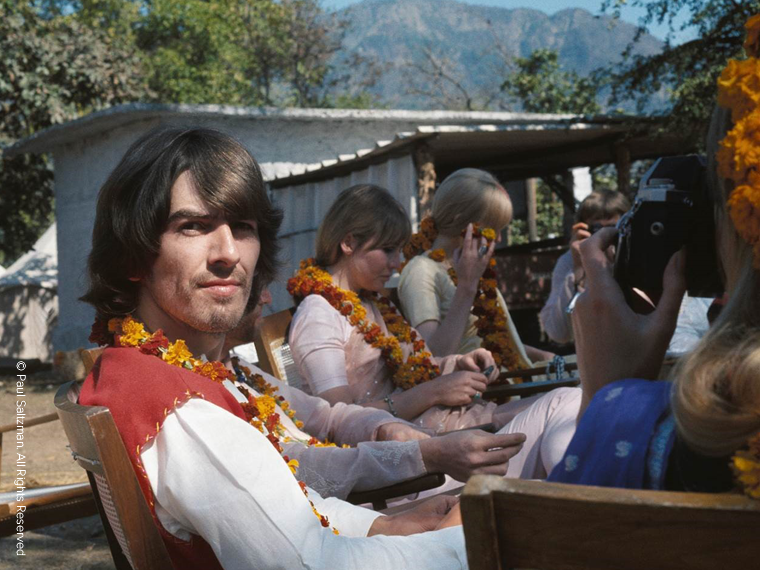 The last song (that's been released at the very least) with George playing sitar. Makes me think it would've been a nice idea if George had wrote a "The Point"-esque children's story with its soundtrack music being like this. 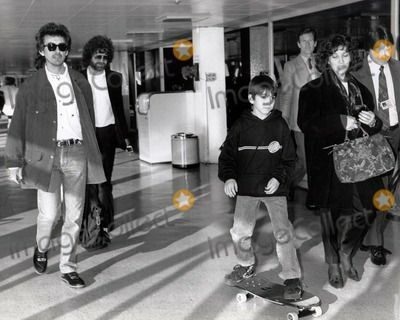 Look at little Dhani's mop top! 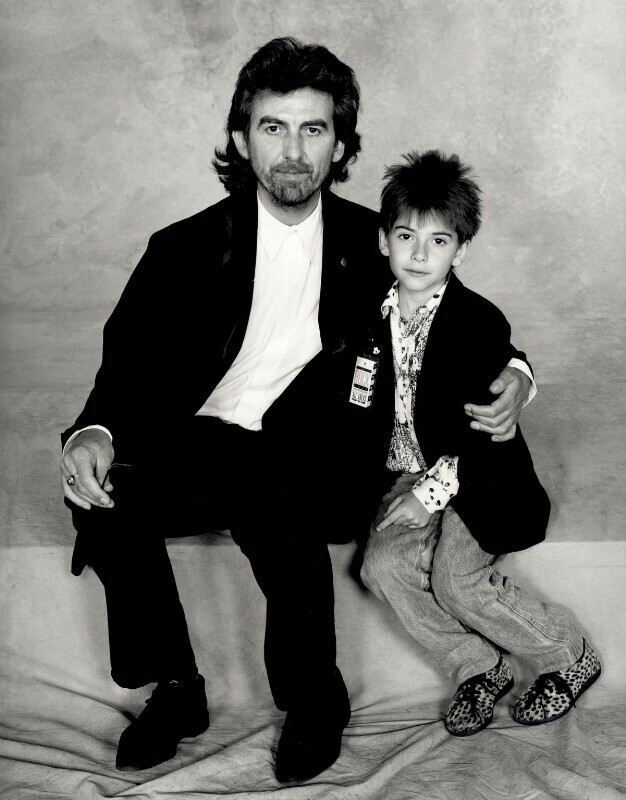 I learned yesterday that a photo of George and Dhani is included in the National Portrait Gallery's collection, isn't that precious? Say what you want about the famous Beatle guy in the photo, we all know he's in the National Portrait Gallery because of those hot cheetah kicks. (Apologies for the 800 or so watermarks). Right this thread is too Dhani-focused, any more Dhani talk can be redirected to his own thread, which I am always happy to see get more traffic. So, we'll start a new topic. I don't really like Everybody's Trying To Be My Baby and I think it's a bad closer for Beatles For Sale . It's got this horrible echo (or double tracking I'm not sure what it is) and I try really hard to like it because he adored Carl Perkins but ugh it's difficult to listen to sometimes. If they had done a simple single-track vocal with nothing added to his voice I would like it so much more. The live version for Top Gear is so much better than what was released. I don't know why they felt they had to mask George's voice, he wasn't the best vocalist sure, but he had a really pleasant voice to listen to. I like Everybody's Trying To Be My Baby , but I agree that it's a weak closer. I don't know, let me think about it for a while. Nineteen Hundred And Eighty Five ! Me to me: Did you hear something just now? Me to me: Nope. Must have been the wind. I don't know if it's controversial, but I've never liked the guitar solo in Slow Down . Wow WMGGW is 'mediocre', them's fightin' words, son. The reason why Clapton is on it is because George couldn't do the song justice or whatever he thought 'justice' was. In saying that, I would like to hear George's electric version of WMGGW before he decided to give it to Clapton. Opinion #2 (although this one is probably more popular than unpopular tbh) : All Things Must Pass did not need to be a triple-album. The jam sections is a self-indulgent addition by George that doesn't add to the album at all. All it did was unnecessarily drive-up the price of the record which isn't particularly cool. I think I've listened to the Apple Jams twice, maybe? Not the best value for money. Unpopular Opinion #3: I disagree with Sinatra's declaration that 'Something ' is the best love song ever. Don't get me wrong I think Something is a very good song- George sounds great, the lyrics are lovely, the solo is gorgeous but as a whole package, I prefer other George love songs to Something . From The Beatles' era only, I prefer Paul's I Will and Here, There And Everywhere . Typing that makes me feel sacrilegious. Here's one that's not musical: I far prefer short-haired George to long-haired George. Don't get me wrong, he's always beautiful, but I've never been a huge fan of long hair, especially when paired with facial hair. I can agree with you on this but what do you count as long? Is his India hair long? Not quite-- it's borderline. These count as long, to me.